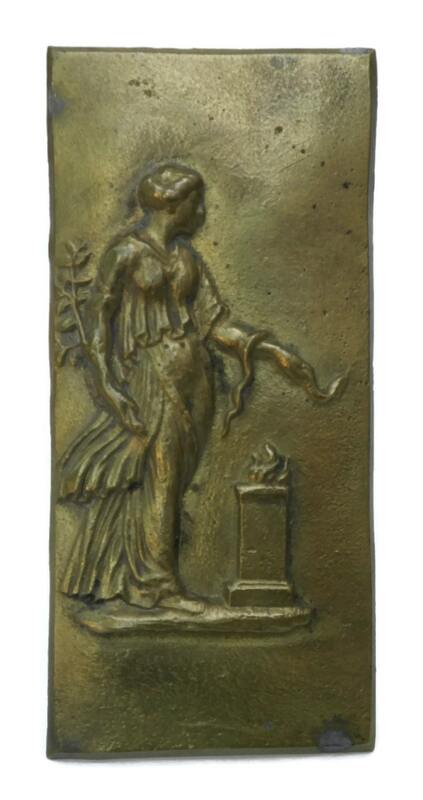 A beautiful French antique classic woman bronze plaque dating to the early 1900s. The plaque features an image of a woman in flowing classical robes and holding a snake and an olive branch. The woman represented is most likely the Goddess Athena from Greek mythology. 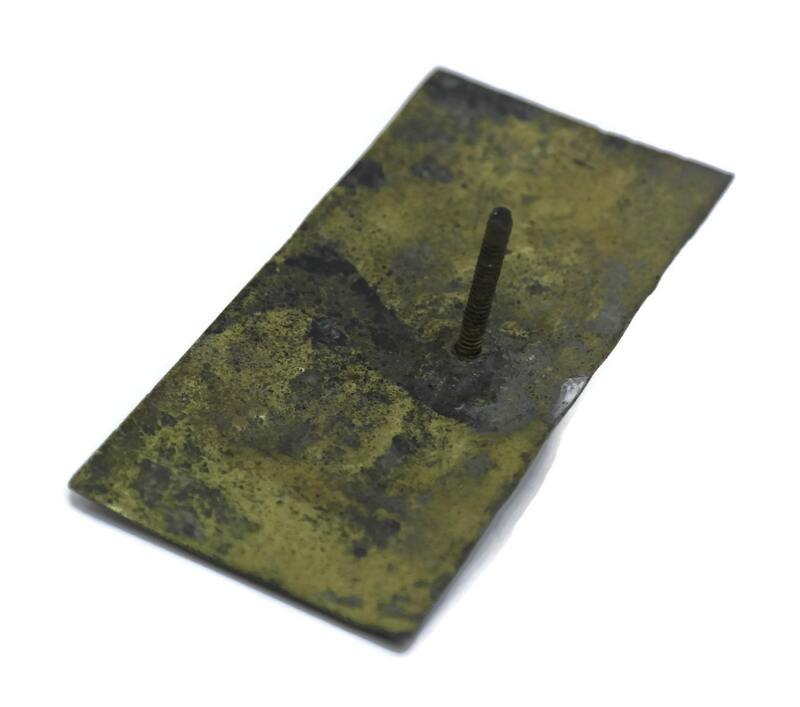 The bronze plaque has a screw attached to the reverse side, suggesting that the decorative plaque was once hardware used to embellish an important piece of furniture. 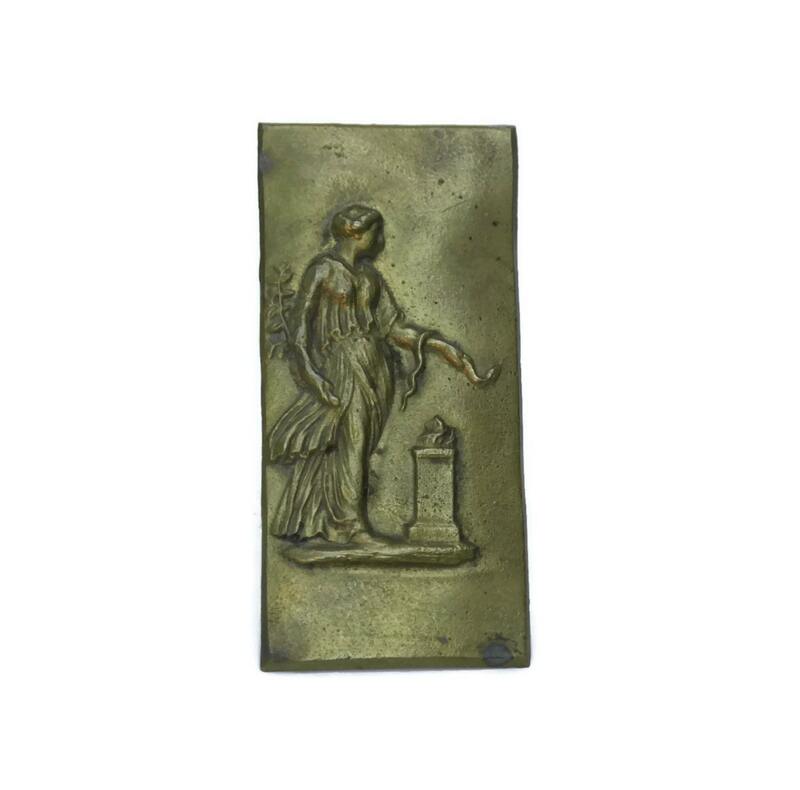 It will make a great addition to your neoclassical decor. 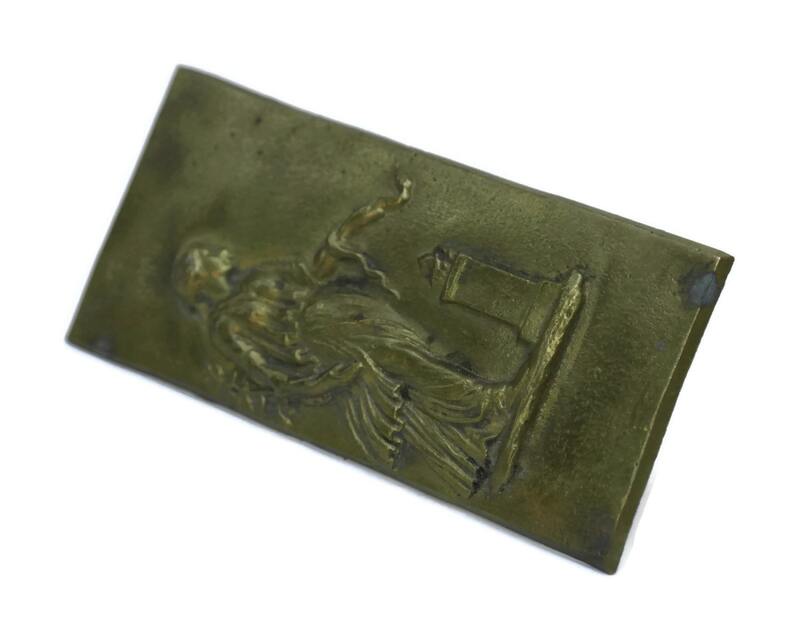 The plaque measures 4" x 2" (11 cm x 5 cm). 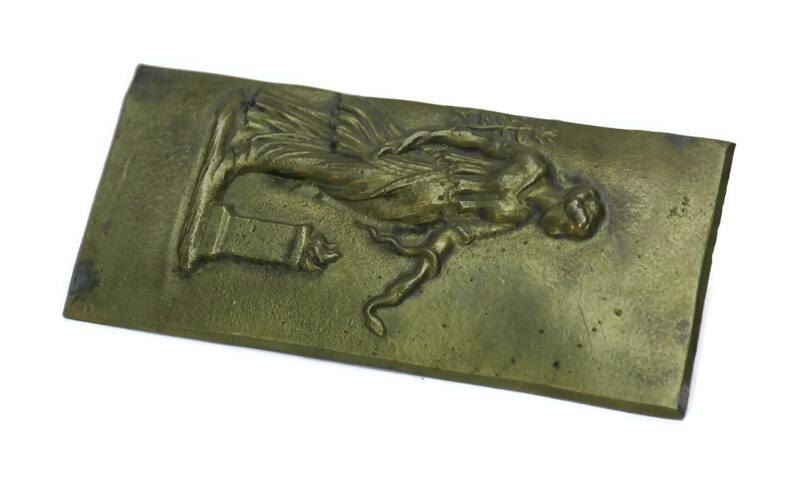 The bronze plaque is in very good antique condition. There is some patina and light oxidation to areas.